A marathon might well be thought of as an advesary or beast which must be tamed or slain. I had three attempts before I got my coveted sub 4 PB and before I acheived this I considered that I had “unfinished business” with the distance. The Lord alone knows why I decided I wanted to tackle the beast again because It is wiley and has all sorts of cunning tricks up it’s sleeve. Above all it is a foe which needs to be taken seriously; it doesn’t take prisoners! 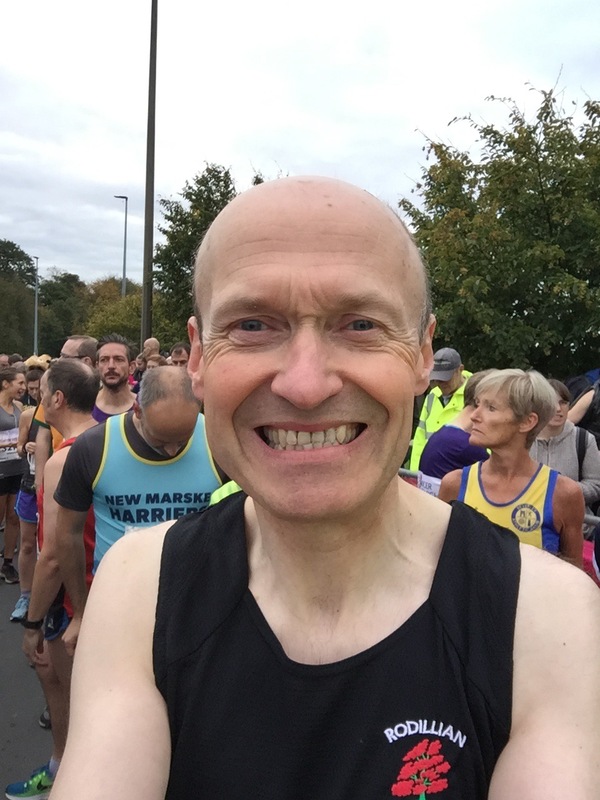 When I entered the Yorkshire Marathon, I did so because I was confident that I had plenty of time to train up to get a PB time. I think the reason that I entered in the first place was because my London Marathon time last year didn’t live up to expectations. Of course, yet again all sorts of challenges disrupted my training program and I was, through optimistic lenses, almost just prepared. So the carefully worked out plan involved a walking stint every 5 miles or so, with an aim to average 10 minute miles. How hard could it be? I had peaked my training in this vein up to 17 miles AND this was three weeks ago followed by a sensible taper. The first half of the race was lovely, the pace felt quite easy and I felt I could run all day like that. I even forced myself to do the walk breaks to save something up for the rest of the race. The problem were my legs; they had other ideas and decided that to “work to rule”. It’s an interesting and yet frustrating quandary when your fitness wants to drive on hard but your limbs don’t want to carry on and are in pain. I won’t give a blow by blow account but from about 16 miles onward I got slower and slower until the last two miles were not much faster than a brisk walk. I’m not going to beat myself up though because 4:38 isn’t a bad Marathon time especially without a full training program. As far as slaying the Marathon dragon, I think I’ll leave it to terrorise some other poor soul. The prospect of settling down to do “ordinary” running again appeals, parkrun, 10Ks, trail races with an occasional half marathon. I remember asking a friend after the race today “why did we just do that?”, to which there isn’t an obvious answer. Next Next post: The Chase is on!